Working with higher pitches, larger objects, and more stability, the only way for the research to go from here is up. In a sci-fi feeling first, engineers at the University of Bristol used the world’s most powerful acoustic tractor beam to demonstrate that it’s possible to stably contain objects larger than the wavelength of sound. In other words, they were able to levitate objects notably larger than what’s ever been possible before; a feat that theoretically opens up the potential of one day levitating humans. Acoustic tractor beams use sound, or more specifically soundwaves, to hold particles in mid-air. While magnetic levitation also exists, acoustic levitation tends to work better for handling liquids and solids. It was previously believed that acoustic tractor beams were limited to levitating relatively small objects; only those approximately the same size as a wavelength of the sound. In fact, it was believed to be fundamentally impossible to levitate larger objects without losing stability, causing them to spin uncontrollably. 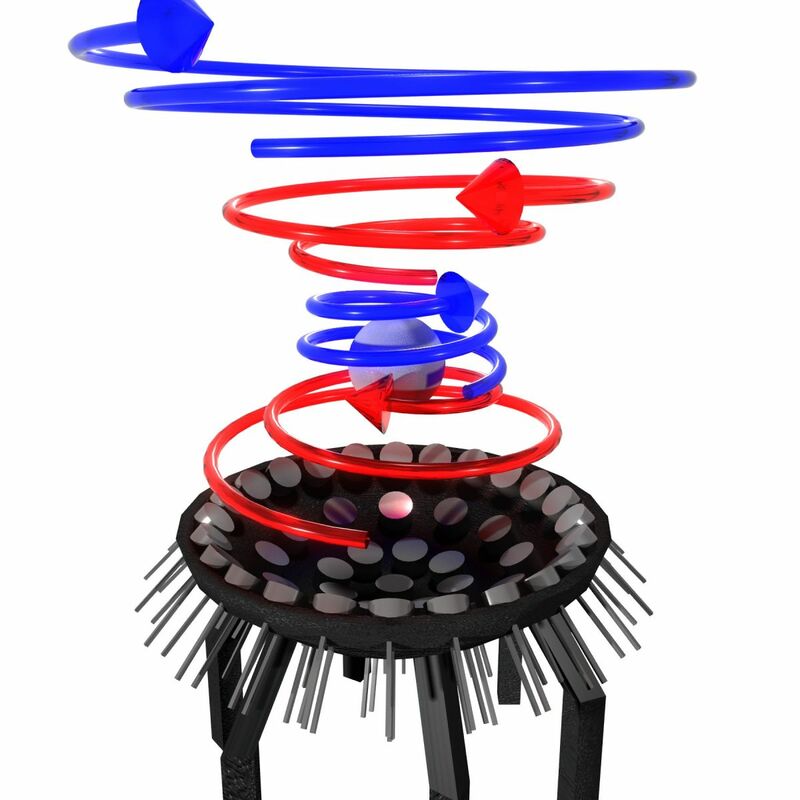 The study, to be published this week in Physical Review Letters, describes the new technique, which creates a tornado-like structure that is extremely loud but has a silent core. The researchers found that when they changed the direction of the rapidly fluctuating acoustic vortices that make up this structure, they could control the rate of rotation and stabilize the tractor beam. Once the beam was stabilized, the team could increase the size of the silent core at the center of this “sound tornado”, which allowed it to hold larger objects. In the demonstration detailed in the study, the engineers used ultrasonic waves at a pitch of 40kHz to make up the acoustic vortices. The structure’s silent core was able to hold a two-centimeter sphere made out of a synthetic polymer. The sphere is more than two times the size of the acoustic wavelengths, making it the largest object that’s been stably held in a tractor beam thus far. Marzo concurred, “I think it opens the door to many new applications.” Some of which might include creating medical devices, like drug capsules or micro-surgical implements. Of course, Dr. Caleap isn’t saying that the simulations are proof humans could be levitated with the existing technology. What the study does show is that high pitches (far above what humans can hear) can successfully be used in acoustic tractor beams and objects larger than a sound wavelength can be stably levitated. Working with higher pitches, larger objects, and more stability, the only way for the research to go from here is up.